"It's not ideal for any of us but it's as amicable as it can possibly be"
Yesterday (August 20) Teenage Fanclub shocked — and no doubt saddened — many fans by announcing that founding member and core songwriter Gerard Love was leaving the band. Now Love himself has issued a statement addressing his departure. 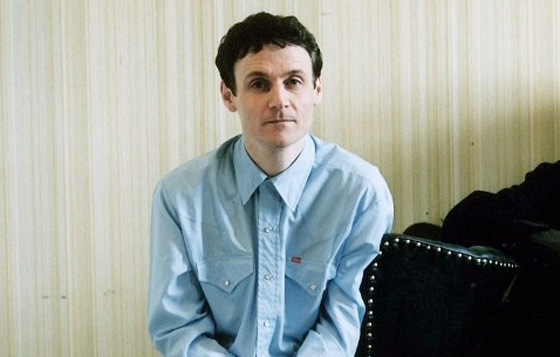 Via the Facebook of Teenage Fanclub's old label Creation Records, Love explained that he has indeed left the group due to conflicts over touring. "From the outset I didn't want to do these particular shows, Hong Kong, Japan, Australia and New Zealand, specifically because of the flying involved," Love explained. "I flew around the world last year and it's not something that I would want to do too often in my life. I equally didn't want to stop anyone from making a living and so it's completely acceptable to me that the band and crew are able to go ahead with the tour. I didn't leave the group and I wasn't kicked out, the idea of this tour eventually became a fork in the road and we have just agreed to go our separate ways." He added, "It's not ideal for any of us but it's as amicable as it can possibly be." Down below, you can read Love's full statement. As previously reported, the singer-bassist will perform with the group for their upcoming UK shows (along with former drummers Brendan O'Hare and Paul Quinn), but he will depart before Teenage Fanclub embark on a tour in Asia and Oceania early next year.